Scroll down for a list of charitable organizations. 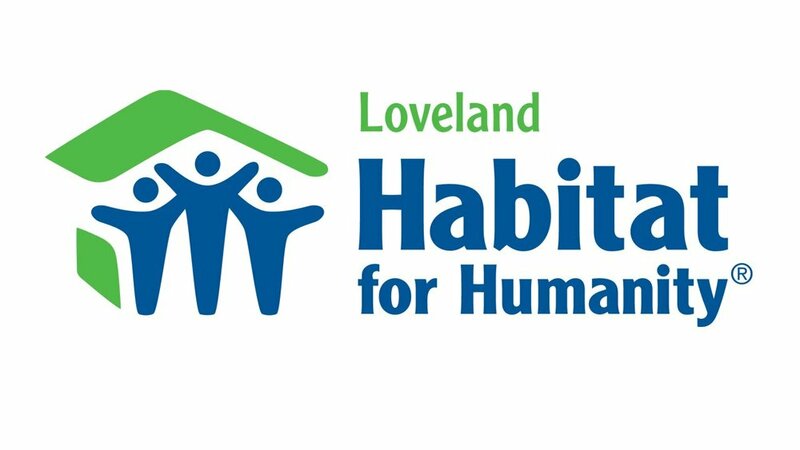 Our Mission: Seeking to put God’s love into action, Loveland Habitat for Humanity brings people together to build homes, communities and hope. Birthline of Loveland is dedicated to saving the lives of unborn babies and empowering families. We serve individuals in Northern Colorado with loving support, pregnancy testing, lay-counseling, referrals to community services, and assist with free maternity and baby supplies. All our services are 100% free and confidential, offering a safe environment, friendship, and real options to anyone facing difficult decisions in their pregnancy. The Little Flower Catholic Maternity Home was borne of the need to provide a space for women in a crisis pregnancy who might otherwise choose to have an abortion. Our mission is to give women over the age of eighteen a place to live free of charge at any point in their pregnancy and for up to six months after the child's birth. The Little Flower provides a safe and encouraging home to give the mothers the freedom to set goals for themselves and their babies. The mothers save their money while working towards self-sufficiency. The Little Flower Maternity Home gives mothers a hand up, not a handout, while pointing the way to Christ. Our mission is to assist people with their immediate emergency needs and advocate for them to become self reliant. As we do this we directly impact the living conditions for low-income and impoverished residents, as well as offer a hand-up to those who have found themselves in a financial or situational crisis. There are so many ways you can get involved with House of Neighborly Service. We are looking for people just like you to give their time, talent, and treasure. Volunteer opportunities are available at HNS, Angel House, and 137 Homeless Connection. Harvest Farm is a 209-acre farm and rehabilitation center for men, located in Wellington, Colorado. The Farm accommodates up to 72 men who participate in a long-term program with the goal of breaking the cycles of addiction and homelessness. Harvest Farm works in partnership with Fort Collins Rescue Mission, and both operate under the umbrella of Denver Rescue Mission. Program participants at Harvest Farm take part in the five-phase New Life Program, designed to help them gain the skills, stability and self-esteem necessary to become productive, self-sufficient members of society. This nationally recognized rehabilitation program combines academics, life skills classes, Bible study, work therapy, and Christian counseling in a curriculum extending up to 27 months. To find current volunteer opportunities, click the button below and then check "location," click "next," and then choose the location from the drop-down menu. Check back for more local charities!